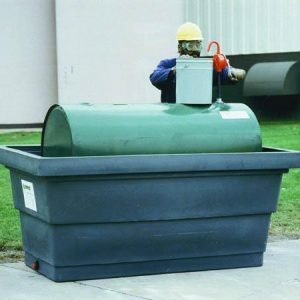 Designed for the widely used 275-gallon obround tank, the Poly-Tank Containment Unit/275 will help protect against hazardous and costly spills. 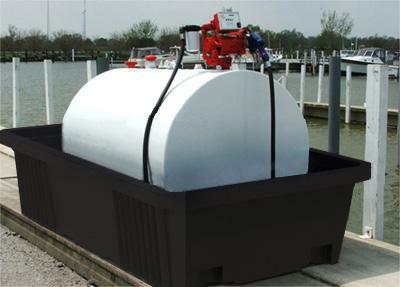 Designed for the widely used 550 gallon skid tank (also 150 gallon, 300 gallon skid and elevated tanks). 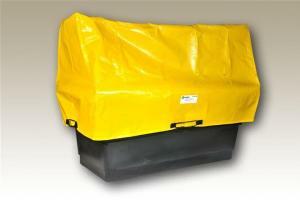 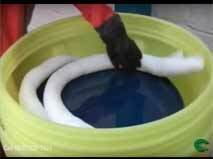 Safely protects against hazardous liquid discharge into the ground. 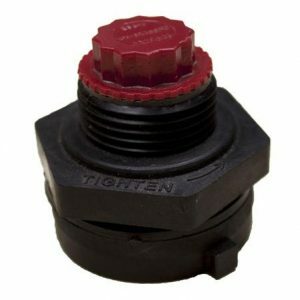 Roomy interior leaves space for tools and related equipment.